I have always loved Prabal Gurung and I respect him more now after reading this heart-warming story. I am sure you will start liking him too (if you are not his fan already) after you read this. If you want to read more about him, you can do it here, here, here and here. 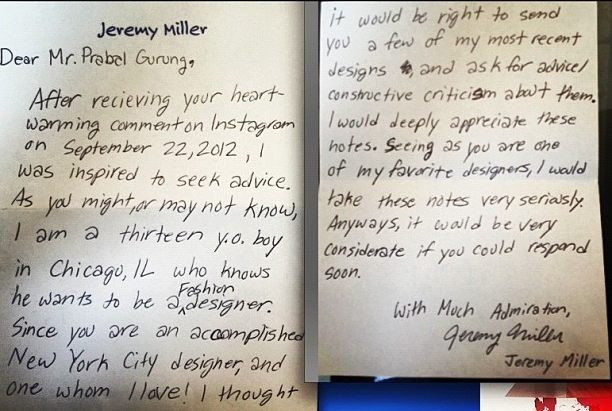 A 13 year old, Jeremy Miller, wrote a hand written note to Prabal Gurung which Prabal posted on his Instagram with the following note. 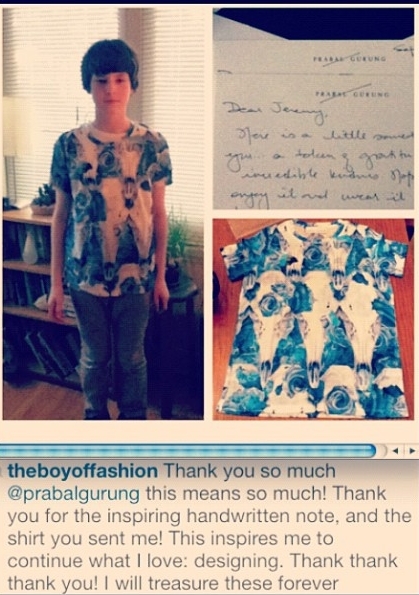 So in reply Prabal sends him a shirt from his collection. Isn’t that sweet of him? Then Jeremy posted the following photos wearing the t-shirt. Prabal Gurung posted the following photo with a note in his Instagram. I am so touched by his gesture. I hope my dream of wearing his collection and meeting him one day will come true as well. Waiting for his collection to come Down Under!!! 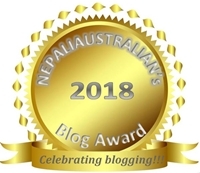 This entry was posted in Fashion and tagged beauty, fashion, heart warming story, style, travel, vacation. Bookmark the permalink. This is a really lovely story! what a inspiring story !! Thanks for sharing. Yes, Prabal gurung has made us proud. This is such a lovely story and what an extremely wise an selfconfident boy, asking for constructive criticism! Hope this boy will keep following his path and that hope one day we’ll hear more from him! Thanks for sharing this sweet story. Thank you so much. He is just amazing.